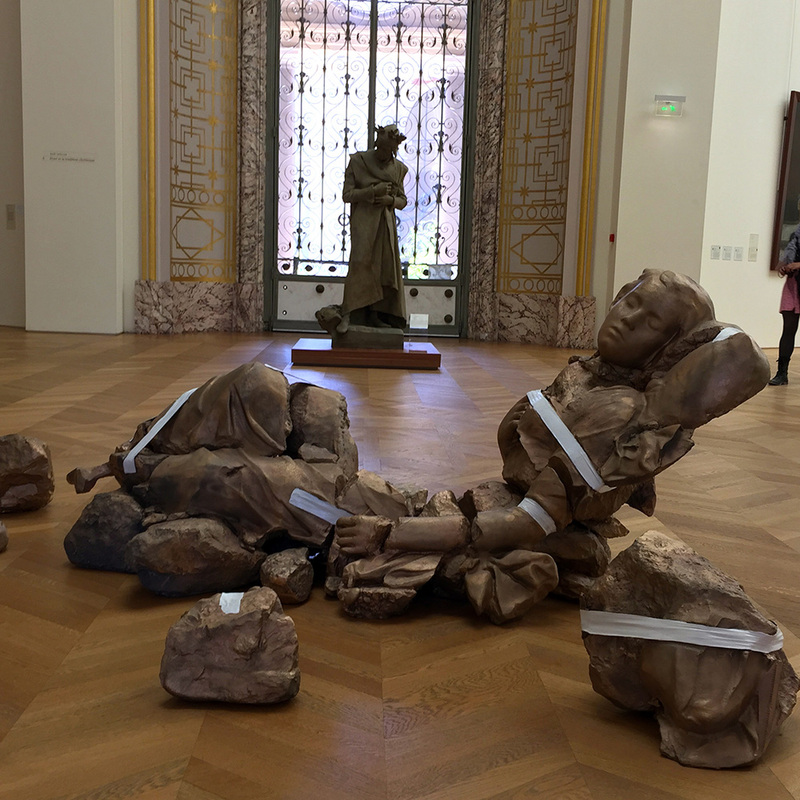 Belgian artist Lerooy creates subversive interventions with exquisitely cast figurative sculptures displayed amongst the permanent collection at Petit Palais. 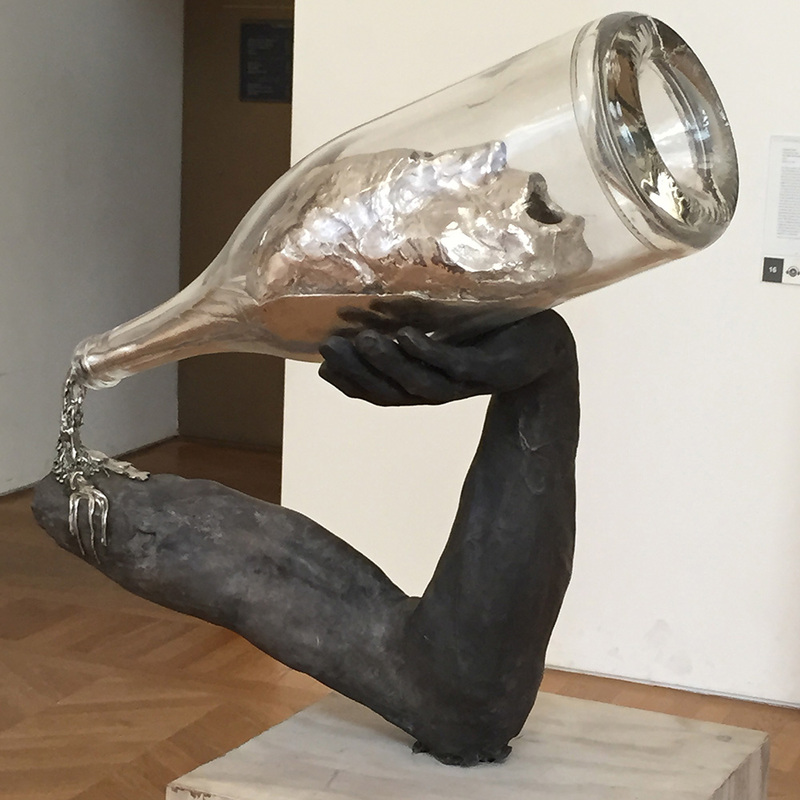 With Duchampian prankster spirit, Lerooy uses the formal elements and materials associated with classical high art, but conceptually thwarts the viewers’ expectations, playing upon the relationship between beauty and the grotesque. 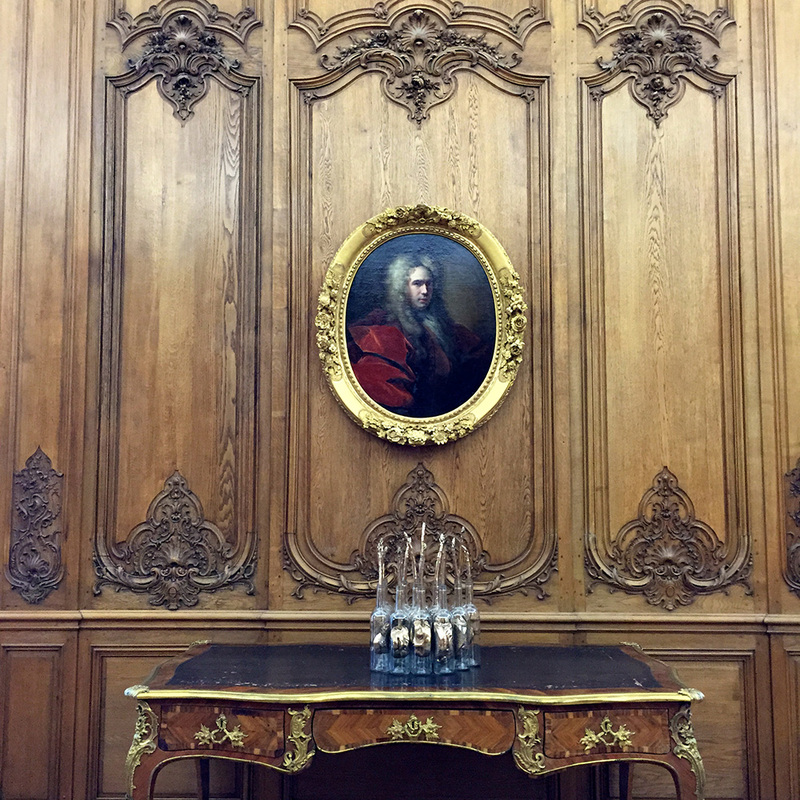 From a distance, Seduction of Destruction appears as a decorative series of glass/gold leafed vessels. 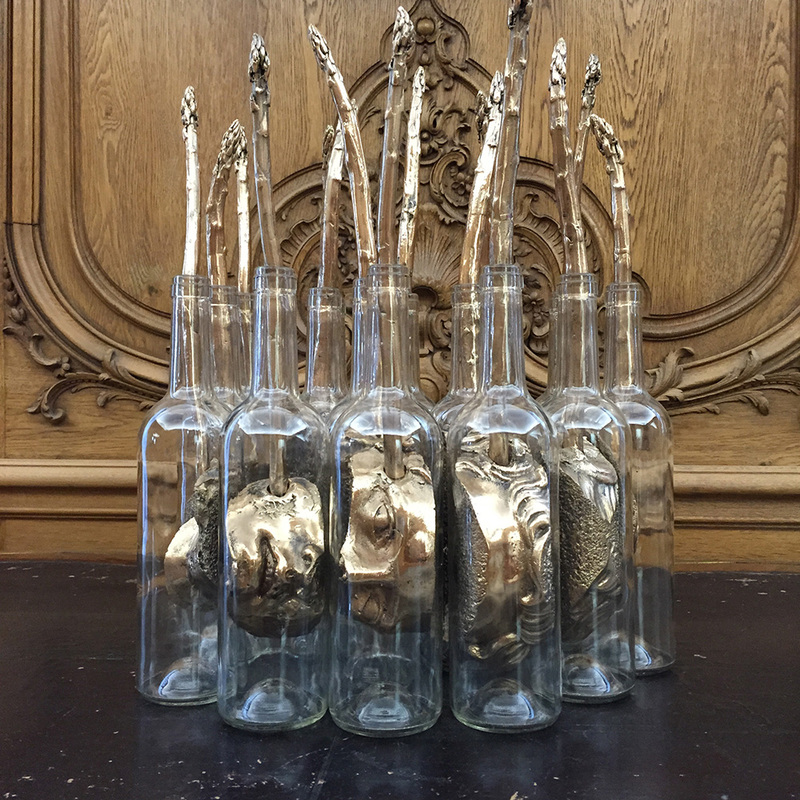 Up close, we see glass bottles filled with bronzed fragments of faces punctured by bronzed asparagus spears. 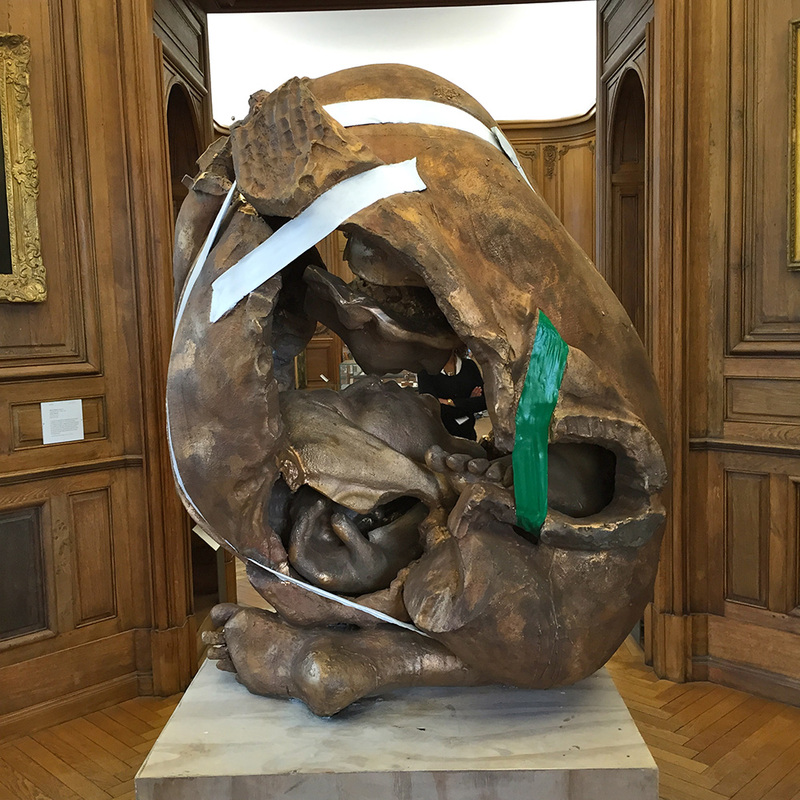 In other works, Lerooy humorously uses duct as a comment about “Institutions” desire to preserve history and tradition.